Our bears and humans want you to be happy! 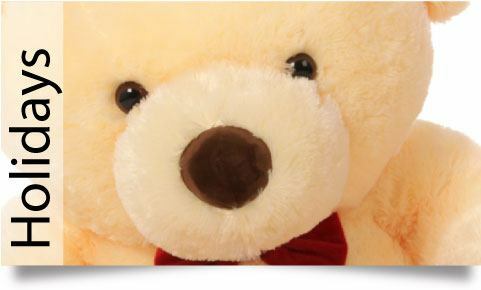 Teddy bears are meant to bring joy and hugs, not stress or frowns. 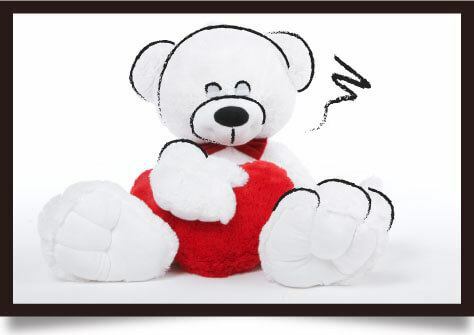 If anything happens during your order process or once your bear arrives that makes you less than happy, we want to know, and we want to make it right. You have our Paw of Honor on that. Giant Teddy brand makes some of the biggest, softest life-size teddy bears in the world, stuffed with LOVE in sunny California. Our mission is to make the world a happier place, and our giant teddy bears spread love, joy, smiles, and hugs wherever they go. 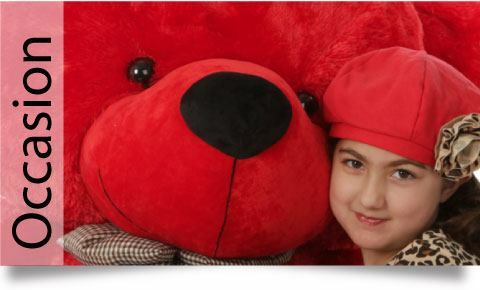 A Giant Teddy may be the most unique, huggable gift you ever give....or get! When looking for a fun and thoughtful way to spread some cheer and show your loved ones you care, a teddy bear gift is a classic choice. 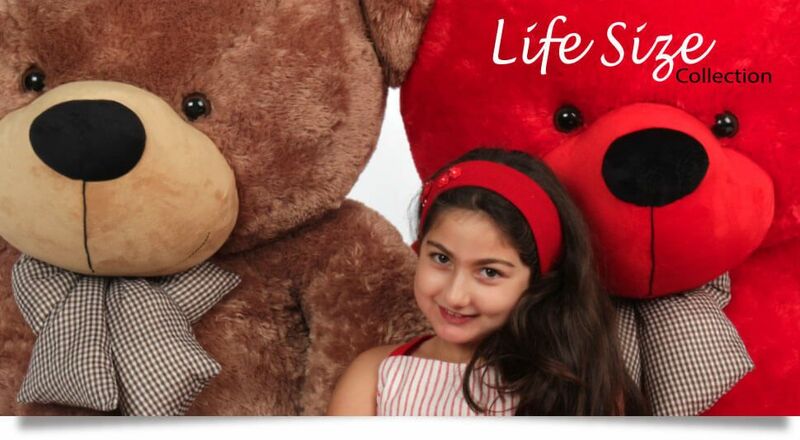 With our selection of life-size stuffed animals, give a bold gift they are sure to love for years to come! 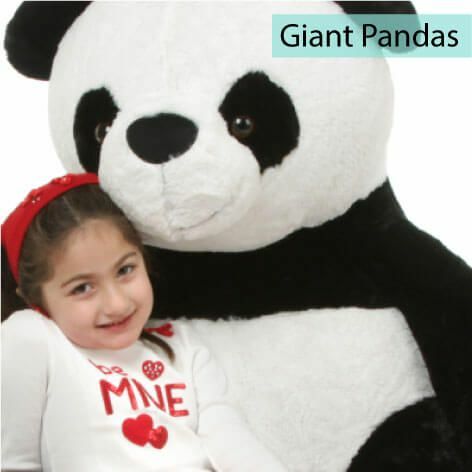 We offer large teddy bears, hippos, gorillas, and more in a range of choices. Whether you prefer a particular color or animal, or need more options for finding the right style, we have you covered with our selection of adorable new friends. 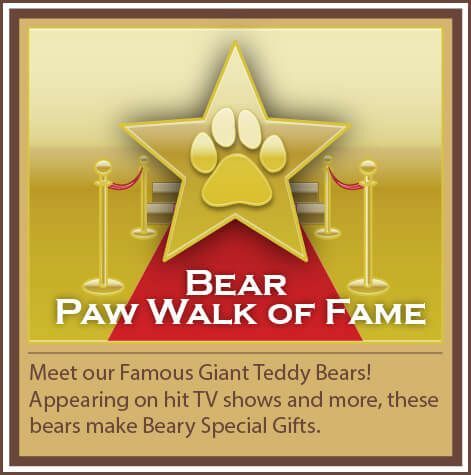 Best of all, when you choose a big teddy bear or animal with us, we ship straight to the door of the recipient, so you can give a gift that shows up on their doorstep as a special surprise. 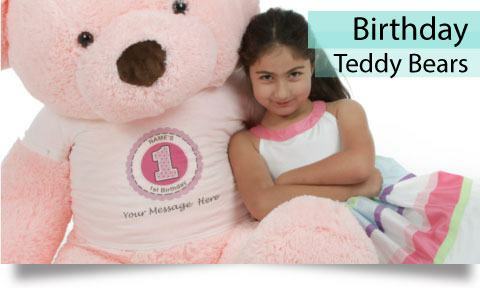 With our teddy bear delivery, add a smile to the face of someone you love without any hassle on your part. There is no need to lug the giant teddy bear from the store to the car to the house when we deliver it! Whether looking from a giant panda bear holding a heart or a bear in a pair of boxer shorts, find it here with our cute and cuddly lineup of characters. Best of all, we offer customization to help you give a gift with a lot of meaning behind it. 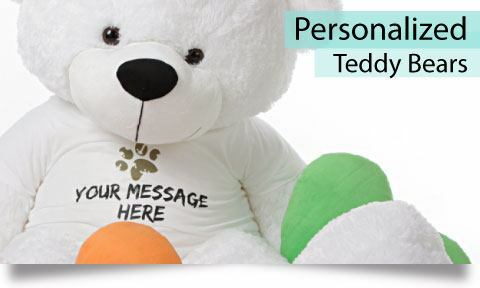 From messages of congratulations or get well soon to birthday wishes and messages of love for the holidays, we can create a special message with our bears for a gift they are sure to appreciate. Please contact us today for assistance. We are always happy to help!